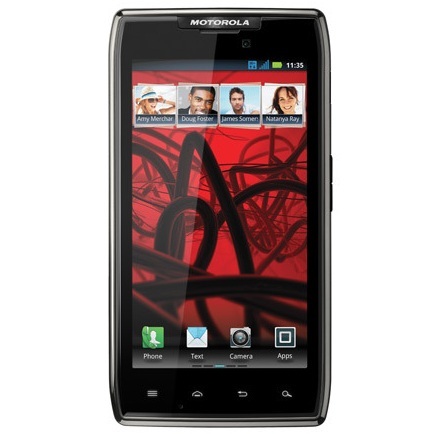 After a few days after announcing the availability of the RAZR MAXX in Europe, Clove.co.uk already has this model in stock. 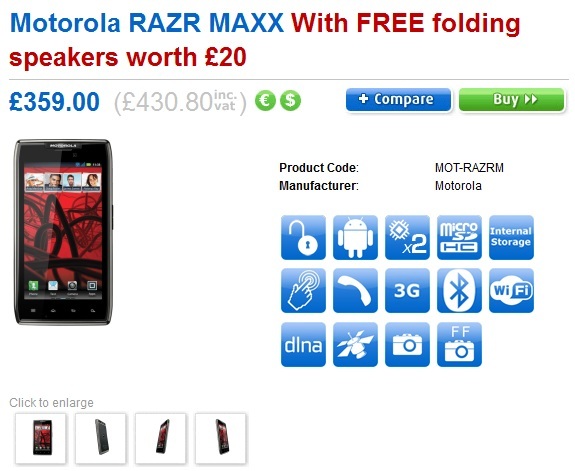 The European version of Motorola RAZR MAXX can be purchased for £359 (£430.80 including VAT) from Clove.co.uk without contract agreement. RAZR MAXX comes with a huge battery of 3300 mAh, which provides over 16 hours of video playback, up to 17.6 hours talk time and up to 380 hours stand by time. With this battery RAZR MAXX is normally to weighs a bit more, 145g instead of 126g. RAZR MAX comes with Android 2.3.5 Gingerbread, but in the near future can be upgraded to ICS.